How Much Does A Satellite Dish Installation Cost? If you were wondering how much a new satellite dish installation should cost, you have come to the right place. This blog will guide you as to how much a satellite dish installation should cost together with the multitude of variables with could affect how much you pay for your new satellite dish. I have written a couple of very popualr blogs on how much a TV aerial should cost and how much a TV wall mounting installation should cost which I recommend that you read also, so I decided to do a similar one for satellite dish installations also. If you haven’t I recommend that you check this out to. For those who have already read my blog on how much a TV aerial installation cost, I apologise for any duplicate content but I wanted this to be a standalone article in its own right and not just an add on to an existing post. Beneath I have identified all the points which could affect the cost of your satellite dish installation quote, so you can get a better idea as to the value in your quote or estimate. At the end of the blog, as we are an open and honest satellite dish installation company and believe in absolute transparency. I have included what we charge for the services, please note that we are like mentioned in the following a UK VAT registered company based in the South East the UK. I will be conducting some market research at a later date and publishing it on this blog from other companies, so you can get a better idea of what an “average” installation satellite dish installation quote will be. Not all companies are exactly the same in what they a “standard satellite dish installation” but this will normally always define the price have been quoted. In a Smart Aerials standard satellite dish installation, this includes and is limited to the following. I personally would throw in setting up customers satellite receiver, Sky of Freesat equipment in there for good measure also as I think that it’s fair that the customer should be able to actually be able to use the equipment prior to us leaving the property. Now because that’s what we throw in our “standard satellite dish installation” is doesn’t mean that other companies do. The customer I used to work for example before setting up Smart Aerials used to say the installation should take no more than one hour otherwise it would cost more. Others may not include a Quad LNB as standard and only a single LNB also, like we do with our mini-dish installations. This blog primarily focuses on UK satellite dish as is included within our standard installation package. If you're after information of foreign satellite systems I have written blogs on how to receive French, Italian and Polish TV in the UK. The links to these posts are below. Often because of nearby buildings and trees, or maybe because you just want it there instead of on your wall. A satellite dish may have to be installed onto a chimney stack. If done properly this should cost a bit more than a standard aerial installation. This is because the installation will naturally take longer and may require a special heights team but also because the fixings techniques are different to installing a satellite dish on a wall. To correctly install a satellite dish onto a chimney this should be done with a chimney lashing kit, this involves a wire of strap installed around the chimney itself which is then tightened, the tension of the wire will then secure the bracket in place without having to damage the chimney at all. As chimneys are only usually single skin structures often in poor condition you should never use drill fixings on a chimney, especially with TV aerials. This is like rule number 1 of the aerial installer hand book as with wind loading you are likely to and I have seen several times the bricks ripped clean from the chimney. I’m not saying that it’s the end of the world if a mini-dish is drilled into a chimney as these are very light and have next to no wind loading forces on them but this is something that should be avoided to be done properly and would usually cost more. - Satellite dish needs to be installed on mast and brackets to help get clearance of an obstruction to obtain a signal. - Cable route is very difficult or specialist cable routing is required, like under floorboards etc. - Difficult to access, parking arrangements etc. There are some more examples, but from the ones I have identified above. You can see that in each example more labour or more parts than were otherwise included would be required which will affect your satellite dish installation price. You can also see that the scope of the work could change drastically. So that if you require a cherry picker to install to install a satellite dish at 7 stories would cost dramatically more than a dish installed at 3 stories which could potentially be done safely off a ladder. Also a cable that needs to be 5 metres longer than is included in a standard satellite dish installation will be considerably less than a cable which needs to be 80m. We just charge an extra £1 per metre for a single cable and £1.50 per meter for a twin cable up to the point of where no extra labour is required. The LNB you require will change the cost of your satellite dish installation estimate or quote. There are many to choose from and if you are not aware of what an LNB is. It is the part at the end of the satellite dish where the cables enter. 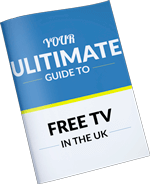 There are many different types and models, too many to name here but the main difference here in the UK is models with multiple outputs for different TV’s or set top boxes. So if you wanted to have satellite TV receivers in two rooms you would need at least a dual or twin LNB and two cables connecting your satellite receivers to your LNB. It is worth noting that for any set top box with PVR facilities so you can record and watch different programmes like a Sky+ box or a Freesat+ box, each set top box would two satellite cables connected to it. This means for the box to work properly you would could not use a single LNB. You can attach up to 8 cables to a satellite dish with an Octo LNB and these cost more than Quad and single LNB’s. I have written a whole other blog on how many cables can you connect to a satellite dish. If you haven’t already, I recommend you read this too. Another anomaly to see would be the new Sky Q LNB and all of its variants, like the hybrid models which allow Sky Q and non-Sky Q boxes to both connected to the same satellite dish. All of these cost more and would affect the cost of your quote. As already mentioned we no longer fit single LNB’s on our mini-dish installations, which is all that is needed for Sky and Freesat and we fit Quad LNB’s as standard allowing up to four cables to be simultaneously connected to it. Our standard installation package includes a Sky style mini-dish which is fine for Sky and Freesat reception in the England and the south of the UK and depending on the age is around a 45cm satellite dish. The further north you go into Scotland the weaker the satellite beams are and a slightly larger satellite dish of 60cm is recommended. Aside from that if you are trying to receive TV from abroad a larger satellite dish is very often required which will affect your installation price. Because you would be trying to pick up satellite beams not specifically intended for the UK a larger dish is needed to get more signal. For TV from Italy, Poland an 80cm satellite dish is suggested and some countries TV the beams may be so weak that you need a 1m dish size and beyond. The larger the satellite dish is the more it will cost. Aside from the LNB upgrade which may be required to allow you to connect more cables to your satellite dish, the amount of cables that are to be installed from the satellite dish will also affect your satellite dish installation quotes, for example cables installed to multiple rooms and twin cables installed for recordable satellite boxes. As installing a twin cable to one room is not much more work than installing one cable to one room, we charge an extra £10 on a standard satellite dish installation for a twin satellite cable. This is just to cover the difference in cost for the cable and extra F connectors which will be required. Read this blog for more information on how many cables you can connect to one satellite dish. 7) Subsidised Price Or Not? A common sales technique used by the TV service providers is the offer of a “Free Installation” or a reduced price installation. I think it’s fair to say that the company who is providing you a TV service for £50-£100 per month can offer you a satellite dish installation price at a far cheaper price than your local aerial and satellite company who you might only need the services of once every 5 years. I know that some people who have always used Sky for their satellite dish installations and repairs are often surprised by the cost of the service when they go elsewhere. It’s just they have becomes accustomed to the loss leader price, in return for you to keep subscribing to their main service which earns the TV service provider the most money. Another situation that may arise and you may not be aware that you’re actually getting a discounted satellite dish installation price is when you have purchased some other equipment with the shop so they can do you a deal on the installation. This has been common with the smaller type TV suppliers when you buy a Freesat box or something similar but is becoming more common with the larger stores also. They may have people within the company that can do the satellite work or they may sub contract this out to another company. It is worth noting that when you get an offer for a free or discounted installation that what would be included within this would be very limiting. Often companies only allow something like 45 minutes per job which is in my opinion not enough time to complete installations to a consistently high standard and why it is common to see cables slung over roofs, unsecured and very poor workmanship. As an aerial and satellite dish installation company we get a lot of work from installations that are not particularly difficult, but Sky have refused to do them. If you live in a seaside town and particularly if you live on or nearby the seafront itself. You will already be familiar with Sky dishes rusting and falling apart, leaving rust streaks down the wall and generally making the place look untidy. This is because most satellite dishes are simply painted steel and soon as the paint fails, the rust begins to set in. You can to avoid this scenario install a satellite dish that is made of a non-rusting and longer life material with aluminium satellite dish and fibreglass satellite dishes both available on the market. We have already covered a certain amount of this, but quality of the materials installed certainly will affect the cost of your satellite dish price. Although there is not a lot of difference in a Sky style mini dish quality from manufacturer to manufacturer because they are all made to a very similar spec. Some of the larger satellite dish range dramatically in terms of quality and price. Another common thing to look out for is the use of cheap or inferior type cables and connectors. The best cable connectors are compression type, followed by crimp on style connectors and the twist on F type connectors. If you have installed the twist on connectors on properly, which so often are not. I don’t see any problem with using these and they can be made weatherproof at the satellite dish end with a wrap of self-amalgamating tape and/ or silicone grease. I think it’s fair to say that the best companies out there are the satellite dish installation companies are the ones that can command the greatest fees. If a company has a proven track record for a consistently high standard of work, they employ and train the best staff and are the most organised, I think it’s fair to say that they deserve to charge the most. Are They Declaring Their Earnings? If you’re buying a product or service “cash” so to say. You can save a fair amount on your installation. I not saying that I recommend anyone to do this, because I absolutely don’t and for one it is illegal. But, as there is often no record of the sale and it goes in the installers back pocket the installer there fore has no tax liability on that transaction. You wouldn’t have to pay VAT if the company charges it and the installer wouldn’t have to pay income tax on it there can be huge savings on your satellite quote right here. Once again, if it seems like I’m recommending you try and negotiate a cash purchase with your provider I 100% don’t. From a consumers point of view you are protected by many laws when you buy a product or service from a company and without a proof of purchase there is record that the sale ever happened. I’m not saying that anyone who works cash in hand is directly not as good an installer, but I have a firm belief that it does affect the service that you receive. Most cowboys and rogue satellite installers will also insist that you pay cash. VAT is too much, I completely agree. Having to pay 20% on purchases is a lot of money. Especially in regard to small and medium business. Where one day you could be perfectly legally trading and under the VAT turnover threshold and not have to charge your customers a penny in VAT on their bill. Then the next day all of a sudden you are over the VAT threshold and you have to charge the consumer an extra 20%. Which itself could be hundreds of pounds. The smaller the business is the less likely they are to be charging you VAT on the bill so this could make a huge difference to your satellite dish installation price. Just bear in mind, when using a non VAT registered company that as they grow and their turnover increases, it’s likely too that the satellite dish installation company will need to charge you VAT also should you return back to them at a later date. It’s very common for tradesmen to become members of a trade organisation to separate them from the crowd. This usually comes with lots of benefits to the end consumer like double backed guarantees, higher standard of work and adequate public liability cover are in place. Some in the most common in regard to the aerial and satellite sector are, the CAI and the RDI. For example for us to remain member of the CAI, we have to conform to lots of things like an installing code of conduct, we have to have a minimum of £5,000,000 liability cover, pay an annual membership fee and have a valid working at heights certificate, along with some other things. There are also very many other common trade organisations for tradesmen like the Buy With Confidence scheme, Checkatrade, Trust Mark and so on. Each of these have on going costs which ultimately end up of their bills to their customers. Again, with qualifications and accreditations. The most qualified generally earn more money than those who are not. The whole education system, including very expensive university fees are accepted in the hope that this will earn them more money in the long run. Maybe you don’t need to hire a satellite dish installer that has a PHD, but I’m sure you get the point. 11) Satellite Dish Installation Prices – Standard Installation £145. I promised you that I would publish our satellite dish installation prices and here you go, again check back here in the future and I will try to obtain some pricing from other aerial and satellite companies in Sussex for you be able to compare value. Please note, if you have read this blog in full that I we are a VAT registered company (20% extra on bills), we are small company based in the South East with only a few members of staff but we have an office, have been trading for just over 6 years at the time of writing this, we are members of the CAI, Checkatrade and the Buy With Confidence scheme, we only use good high quality materials and I myself have been working on aerial and satellite dish systems, large and small for over 11 years. Please decide for yourself if the prices are good value or not. All of the following prices are true as of 13/04/2018. If you are reading this at a later date there is a good chance that these could be slightly more. Standard mini-dish satellite dish installation, Quad LNB and single cable - £145 inc VAT. For Octo LNB’s, Sky Q LNB’s we charge an extra £20+VAT. If you’re based in East Sussex, please do get in touch for your own satellite dish installation quote. As we are based in Eastbourne and regularly serve Hastings, Uckfield, Brighton & Bexhill we will be delighted to arrange a satellite dish estimate and installation for you. Anyway, I hope that you liked this blog. If you have any questions please LEAVE A COMMENT in the section and I will answer you the quickest.